Helping people and groups connect toward health, prosperity, and leadership. Dr. Christine Judith ("CJ") Rhoads, M.Ed. D.Ed., is one of those people who make you breathless just listening to her accomplishments. A sought after speaker, consultant, author, and expert in many different aspects of business, she has been recognized by her community with several awards and honors including the Athena Leadership award, one of Pennsylvania's Top Women in Business, Lehigh Valley's Most Influential Women, Kutztown University's College of Business Top Researcher of the Year, and many others. Currently she is President and CEO for HPL Consortium, Inc., which develops technology tools to help people connect toward Health, Prosperity, and Leadership. She is also the managing director of HPL 501c3 Institute, which provides those tools to small groups and non-profits at a reduced fee so that they can help underserved populations achieve health, prosperity, and leadership as quickly and as efficiently as possible no matter how much (or little) technical expertise they hold. Rhoads is also a Professor in the College of Business at Kutztown University, where she teaches graduate and undergraduate courses in entrepreneurship and information technology. Her research in leadership and strategy is well-known for its practical usefulness, and her research in healthcare and the use of integrative health to lower costs and increase quality is being noticed by decision makers. In addition to her most recent book, The Entrepreneur's Guide to Running a Business: Strategy and Leadership, she has authored several other books, some of which have been best sellers within their niche. More than a hundred and eighty of her articles have been published over the past five years, many reprinted and translated into several different languages, and she publishes a monthly column in the Reading Eagle Business Weekly. She demonstrates extraordinary insight into problems crossing several domains of knowledge, and in March of 2008 she publicly predicted the financial crisis, publishing that it would be "a financial crisis the likes of which we haven't seen since the depression". She currently sits on several Boards of Directors and shares her insights with a few carefully selected clients throughout the year. 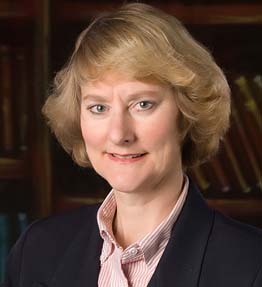 Rhoads started her career by building Computer Educational Services, a highly successful computer training and consulting firm which she profitably sold to Hi-Tech Connections, Inc., and which eventually merged into Verso Technologies, a publicly traded company. Rhoads developed her extensive foundation of knowledge through a combination of technology startups and Fortune 500 companies in the financial industry. Prior to starting her current company (which was formerly known as ETM Associates, Inc. and incorporated in 2001), she served as Chief Technology and Operations Officer for CommerceLinks.Net, a startup specializing in Live Video Customer Service technologies where she designed and wrote a patent for the video interface for the technology. During the height of the Internet bubble she utilized her talents as Chief Technology Officer of Millstar, an E-commerce software development company specializing in on-line catalogs of highly complex product sets for click and mortar companies. Her large company experience was garnered previously as Vice President of First USA/Bank One and MBNA/Bank of America where she provided internal consulting to senior management on strategic decision making, project management, and resource allocation. More than ten years ago, Rhoads was injured in a devastating car accident that left her with permanent memory problems from a mild traumatic brain injury and severe chronic back pain. Her recent business interests are focused on the areas that enabled her to not only recover from the financial hardships and physical disabilities as a result of the accident, but to surpass all expectations in terms of gaining health and prosperity. Her experiences led to the change in focus of her career as she is now dedicating her life to helping others achieve the same gains regardless of their circumstances. Rhoads has a Doctorate in Educational Technology from Lehigh University with a minor in Business Administration, and a Master's degree from Temple University in Educational Psychology with a focus on Instructional Design. Personally, she enjoys practicing Taijiquan (a Chinese martial art), hiking, bike riding, swimming, and reading science fiction. In 2009 she was a Gold Medalist and National Champion in the Women's Push Hands division for the International Chinese Martial Arts Championship in Washington DC, and in 2010 she was named to the Fellowship of Martial Artists Hall of Fame as Taijiquan Event Promoter of the Year. She lives in Yellow House, PA with her husband of 30 years. Copyright 2014 by HPL Consortium, Inc. All rights reserved.